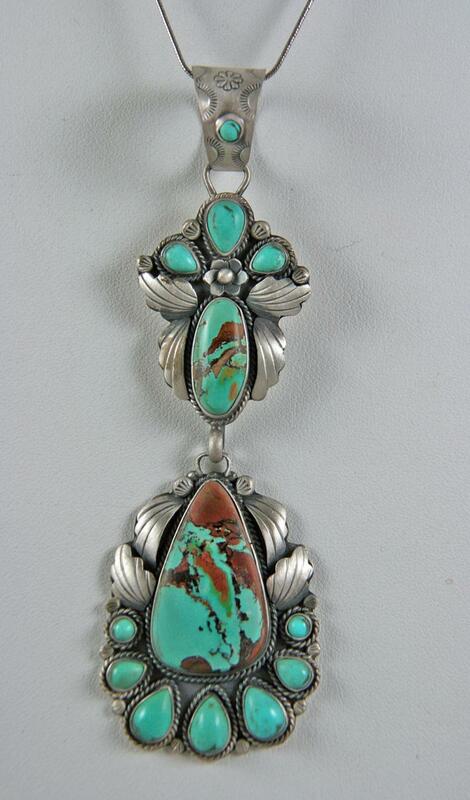 This amazing two piece Martha Willeto pendant contains fantastic specimens of Royston Turquoise from Nevada. The turquoise is a beautiful green-blue with brown matrix. It is set in her carefully worked and antiqued Sterling Silver. The two pieces are moveable. The total length of the piece including bail measures 5 inches in length. Martha Willeto (Navajo) works in Albuquerque, New Mexico designing and carefully crafting unusual Sterling Silver jewelry. 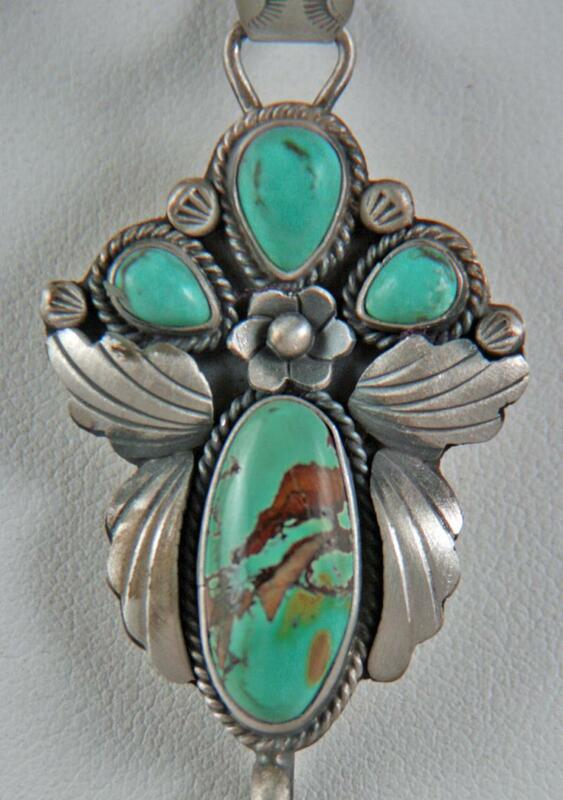 The company she works with is very good at finding exquisite pieces of turquoise for her to work with. I find that her work, the intricacy of the settings and the burnished antique look of the Sterling silver creates a combination of Spanish and Navajo styles. All of her pieces are one of a kind. I have carefully selected some of her best pieces in a range of prices. I find her pieces reasonably priced given the quality stones and amazing workmanship. All of these pieces are hallmarked MW Sterling.